How Does the Brain Teach Itself to Read? Reading is a culturally recent innovation and so it is unlikely the brain is biologically hard-wired with specialized areas devoted to this skill. This means that humans must somehow use explicit instruction and reading practice to drive neural change. For successful learners, the result is a brain in which visual word recognition occurs automatically. How does this happen? In this talk, I consider a key brain region that supports visual word recognition — the “visual word form area” — and the ways in which reading experience shapes its location and functional interactions with a broader speech and language network. I conclude by considering how the work may inform intervention efforts for struggling readers. Julie A. Fiez, Ph.D. is a Professor and Chair of Psychology, and she holds appointments in the Department of Neuroscience, Department of Communication Science and Disorders, the Learning Research and Development Center, and the Center for the Neural Basis of Cognition at the University of Pittsburgh. She received her PhD in Neuroscience from Washington University in 1992, completed a postdoctoral fellowship at the University of Iowa, and then joined the Department of Psychology at the University of Pittsburgh in 1997. 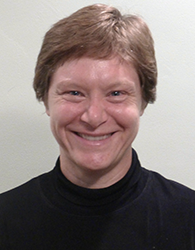 Her research uses behavioral, neuropsychological, neurophysiological, and neuroimaging methods to examine the neural basis of speech, language, reading, working memory, and learning in healthy and patient populations. Dr. Fiez has received honorary awards for her research accomplishments from the Society for Human Brain Mapping and the American Psychological Association.